M. Ward has a reputation for crafting songs that sound much older than they are. Well, look at some of his sources of inspiration for his sixth album: Buddy Holly ("Rave On"), Frank Sinatra ("Outro [I'm a Fool to Want You]"), William Blake ("Blake's View"), the stars ("Stars of Leo"). Plus, he has that groggy, scratchy tenor taking us back to days of oil lamps and handmade goods. Hold Time gives us 14 opportunities to take that trip, from the strummer "One Hundred Million Years" to the smoldering Lucinda Williams duet "Oh Lonesome Me." She & Him partner Zooey Deschanel appears on the upbeat "Never Had Nobody Like You" and on the cover "Rave On." 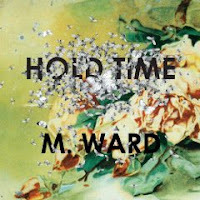 The title track has a beautiful drama to it, care of the moody strings, a reminder of M. Ward's talent as an arranger. "To Save Me" and "Stars of Leo" pack bombastic midsections with lots of percussion, but "To Save Me" is the one you really need to hear: An overdubbing of Bright Eyes member Mike Mogis' ebullient mandolin takes it to dizzying heights. Clearly, the god at work here is a vengeful one intent on denying us the pleasure of a fatuous party album. (The fist was a tip-off.) Bizarre title aside; and gaudy, atrocious cover aside; and hideous-blob-of-naked-bodies art aside, and --- my, we have a lot of asides here --- the second release from MSTRKRFT does not, in fact, get the party started. Distancing themselves slightly from robot-rock luminaries Daft Punk, the Toronto duo team up with rappers, but hardly anyone benefits from the collaboration. The electro passes over E-40's rhymes like a static jet stream. MSTRKRFT tempt us with a Ghostface Killah cameo, then squander the opportunity by turning it into a sophomoric cut-up sure to exhaust even those who at first thought it amusing. Freeway's crudeness in the last track, "1000 Cigarettes," will jolt anyone out of boredom, assuming they're still playing the album. Fist of God really should have been a single, with "Breakaway" and "Heartbreaker" on it. "Heartbreaker" devilishly mimics the piano opening of Sara Bareilles' big radio hit, "Love Song," while "Breakaway" spotlights the Romanthony-like club-singer chops of Jahmal of The Carps. 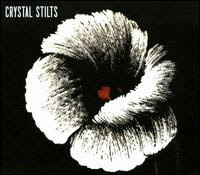 The cavernous reverb of Crystal Stilts' debut album is striking, but it loses its novelty a few songs in and ultimately becomes too much. There's definitely an allure to lead singer Brad Hargett's half-intelligible ghostly keening; the trick is to frame it in ways that keep it interesting. Alight of Night indicates that Crystal Stilts excel when playing at the extremes: The placid, stripped-down "The City in the Sea" allows his voice to coast by, as if blown on the breeze, swirling in and out of caves and harbors. "Departure" worships at Joy Division's obsidian throne, the busy bass mixing with a constant tom-thumping- and snare-thwack pattern. Meshed with Hargett's wafting vocals, the result is an ominous, jerky swinging, much like Ian Curtis' epileptic swiveling and thrashing. Most of the time, though, the pace is midtempo and the atmosphere prevails at the expense of the songs. Overall, the echo-chamber approach works best when Hargett's vocals are either slower or not competing with electric guitars.